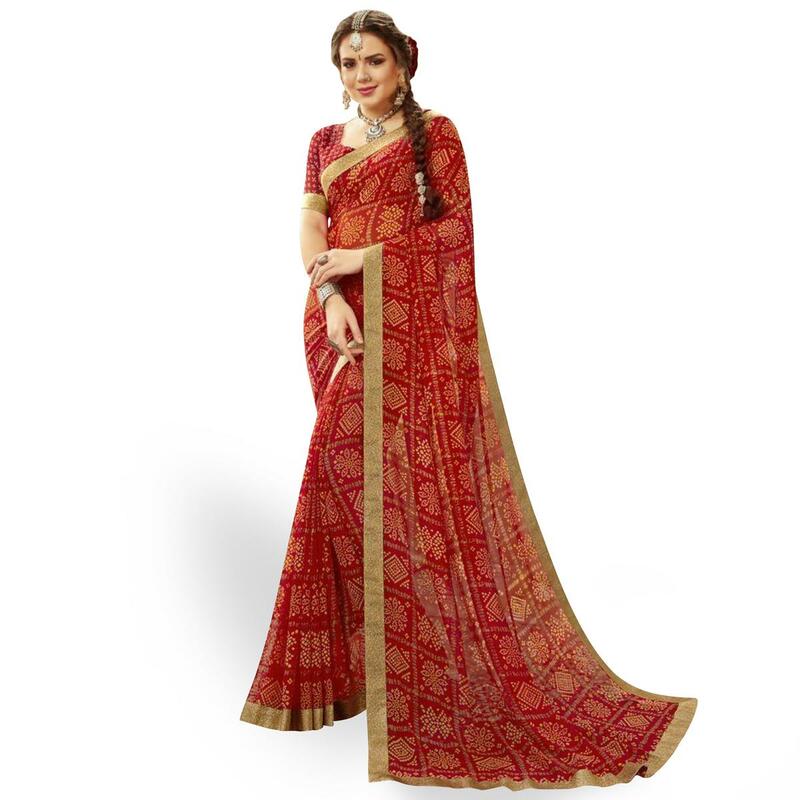 Flatter your style with a touch of sophistication with this demanding red colored saree. This saree is fashioned on georgette fabric & detailed with bandhani print and lace border as shown. Saree comes along with unstitched georgette blouse piece, which can be stitched as per your style & requirement. Try this saree to look stunning in your social circle. It's a perfect saree to wear for parties, festivals, casual outing and weekend get together. Team it with stylish accessories to make your looks more beautiful. Grab this saree now before it gets sold out. Note:- The actual product may differ slightly in color and design from the one illustrated in the images.